*** Please note that this event has been Cancelled. 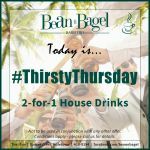 The Bean N' Bagel Baristro presents their Thirsty Thursdays. 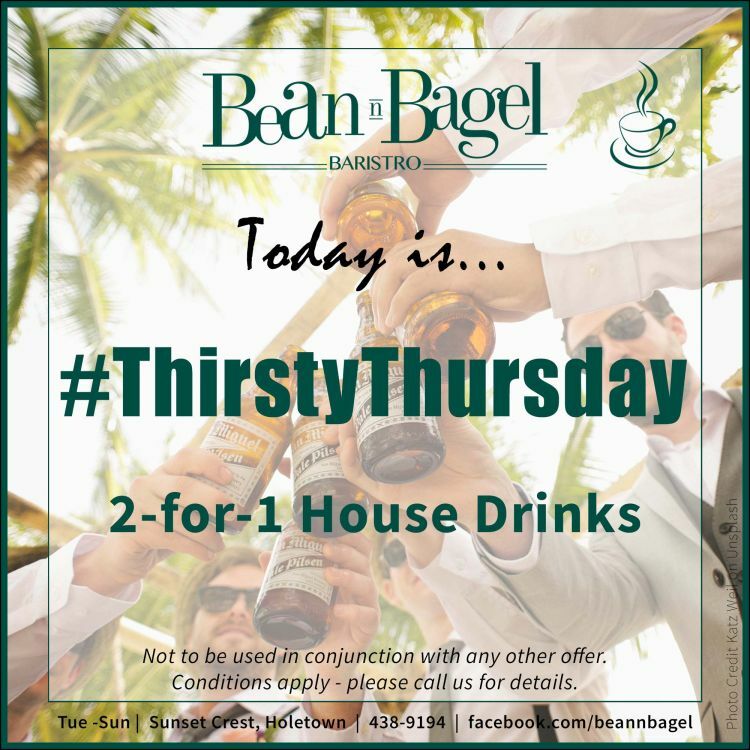 Today diners get 2-for-1 on House Drinks all day.